Are you looking to turn your home into rental? 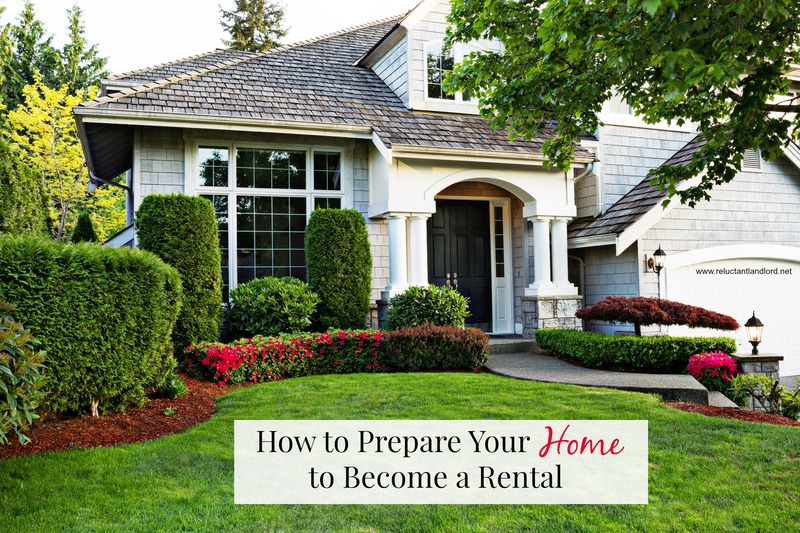 Preparing your home to become a rental is easy as long as you are trying to sell your house in its current state. I have had a lot of people tell me about all these “projects” they want to get done before their home can become a rental. The key is not to upgrade your home, but to make it a nice, livable house. Not sure what needs to be done before your home is ready? Below is a list of things to do and not do before your home can become a rental. Good luck! Clean: The house needs to be clean. The floors including carpets, need to be clean and presentable. Be sure to check out my board of cleaning tips, for a little extra help! Repair: As a landlord, you want to make as few calls as possible. On the other hand, a tenant is not going to be okay with the leaking faucet, missing light, non-working dishwasher or other issues occurring in the house. You want to make sure you get all of this fixed before your tenants move in. Landscape: You want the outside of the house to look neat, clean, and easy to maintain. Extensive gardens or other unusual landscaping are not a good idea as tenants will not maintain them. Declutter: You want the tenant to see themselves in the house. Therefore you want it to be as neutral and appealing to people as possible. Think: diverse background and taste. Continue to Improve Your Home: As homeowners we always have projects: change the flooring, widening the garage, upgrading the cabinets, etc. This is not the time to improve and upgrade the house. You want to get it clean so you can rent it out. These upgrades traditionally do not add rental value. Repulse Potential Tenants: First impressions are very important, so take care of anything that might turn someone off from the house.